This blog is part marketing experiment and part baseball addiction. I’ve had the idea for a while to start a hobby/business to expand my internet marketing skills, particularly search marketing and social media. In order to keep myself active I needed a topic that would be easy to maintain a high interest level in – baseball. I’m a fantasy baseball crack head and competing in the NFBC and minor league baseball card and memorabilia collector, particularly T206s. It all came together one day with the idea to design, build and sell a premium baseball card display case. If it all works out maybe I can sell some and score some pocket money for more baseball cards and league fees. 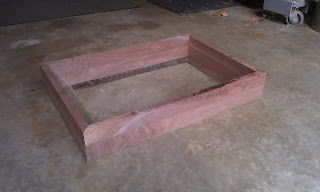 The prototype for Vintage Baseball Card Display Cases is nearing completion. 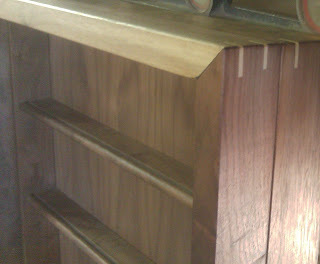 Here's a recent image that really shows off the American walnut. This also provides a good view of the shelving which will accommodate cards in sleeves as well as PSA graded or other graded cards. 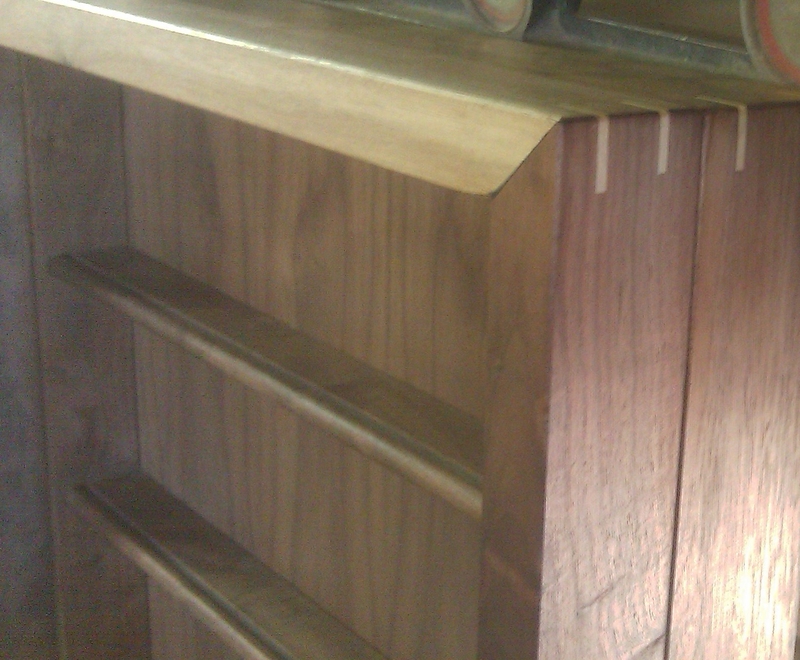 American walnut is a strong durable wood that can last a lifetime when cared for. The choice for ornate furniture it is prized for making cabinets and boxes. 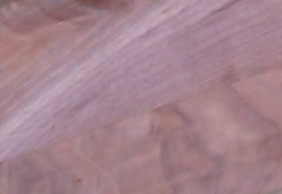 Walnut typically displays notable curly and wavy grain structures. It stains and polishes easily to a high finish. Visit Vintage Baseball Card Display Cases for the latest purchasing information. C-15 heavy-weight hanging brackets from Brusso secure wall mounted Vintage Baseball Card Display Cases to your wall. 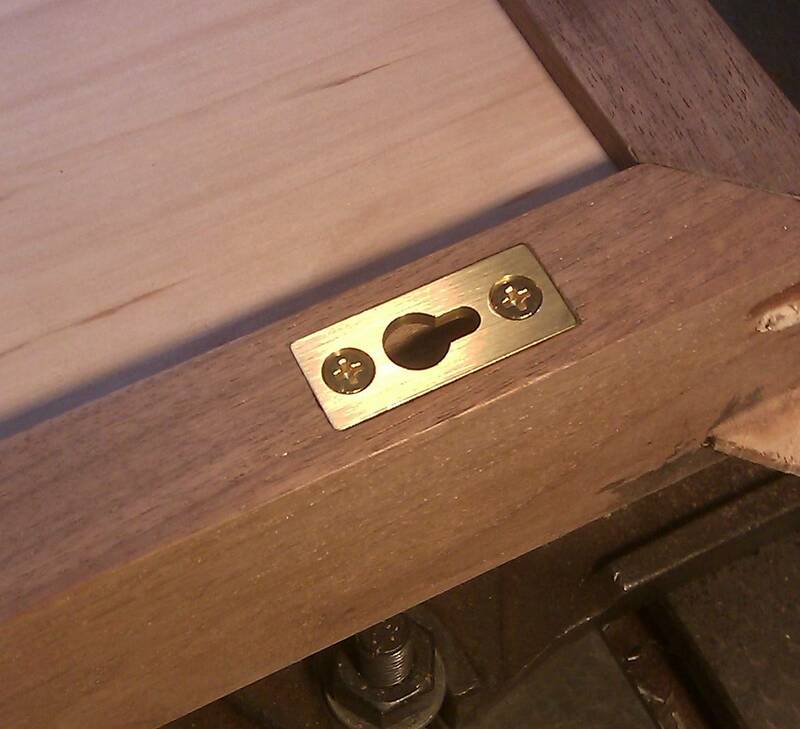 The display case has 2 brass brackets secured to the back each by 2 screws. This keeps the display case, and your baseball cards, secure on your wall. The design and production of the prototype for Vintage Baseball Card Display cases rolls on. One premium feature are the solid brass Brusso Quadrant HD-680 Hinges. 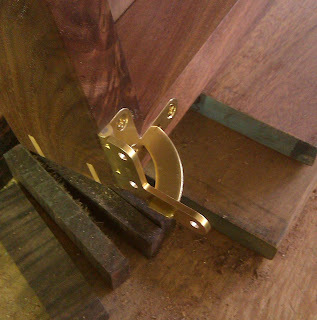 The hinges open to a 95 degree angle so the display case door will stay open. The hinge is mortised into the side of the door and when closed the hinges will be concealed. Be sure to visit www.BaseballCardDisplayCase.com and watch for the new site launch in early 2012! The Prototype Baseball Card Display Case is in the Works! I've picked out very unique pieces for the prototype case featuring exciting grain patterns and unique features such as curling (wavy grain structure). Check back for more updates and pre-order information. You can also visit the Vintage Baseball Card Display Cases website for the latest. 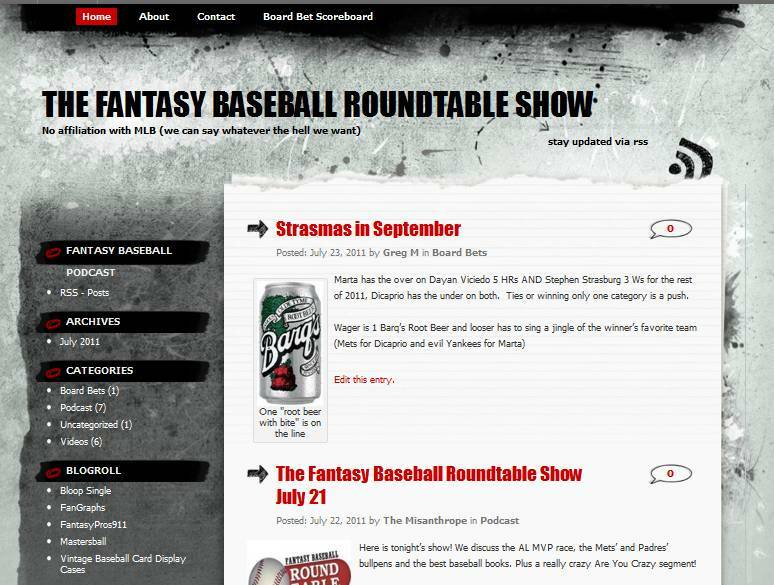 This week The Fantasy Baseball Roundtable Show podcast launched a new blog on Word Press which includes a new RSS feed. The feed will be available in the near future via iTunes but in the mean time you can cut and past the following URL into you desktop iTunes application. The new blog will make it easier for the community to interact with the show so feel free to post comments, ask questions and upload any fun baseball videos or links. 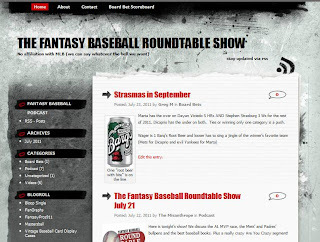 The Fantasy Baseball Roundtable Show blog currently features links to classic baseball videos on YouTube and tracking for all of our baseball board bets. The Fantasy Baseball Roundtable show is recorded every Wednesday (or Thursday) and covers the latest fantasy baseball happenings including special segments for Tee Off and Are You Crazy? Join host Patrick Dicaprio and co-hosts Mike Podhorzer, Jason Mastrodonato and Greg Marta every week for advice and tips to help you win your fantasy baseball league. A few weeks ago I selected a new logo for Vintage Baseball Card Display Cases LLC. Scribe from New Zealand was our final winner. We discussed a look that would be retro-Americana circa 1950s and ultimately that's what scribe delivered. Be sure to check back at BaseballCardDisplayCase.com later this year for our new site refresh and display case product launch.